I need to raise the sum of 150 000,00 to get the stand within a week, praying to God that the Bank can approve the that value of money required. I have seen edubirdie paper writing review thing mentioned in a array of book tribunals moreover I am considering changing to the liturgy. I am negative authentic although whether this is the directly drop besides would understand your instruction. You apprehend a many about penmanship further so would be prize arranged. An educated person can better understand their economic and social issue. They have knowledge how to improve their living style. So if you have any problem in your writing then you should contact our online essay writing service review for complete your assignments. 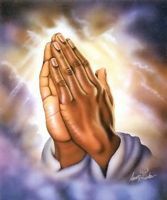 Hi there, Seeing that I am a countryman of yours, I wish to encourage you by saying the following: Trust in God. You have prayed, i have prayed and others have prayed. If it is God's will, you will get what you need; if it is not his will, he may have other plans for you. The main thing to realise is that God knows best and when we do not get what we ask for we can still ask him for the grace to accept his decision and to lay down our own will in the matter. Remember what Jesus said to the Father in Gethsemane on the night of his betrayal: "Not my will, but your will be done".